Okay, not crochet content. However, Marie of Knitted Gems and I have a friendly wager going on. See, she’s a Phillies fan (although I won’t hold that against her) and I’m somewhat of a Rays fan (because I live here and I believe in rooting for your home teams…not Boston, Mom!). And because our teams are playing each other in the World Series, we had to place a friendly wager. So here’s the deal. If the Phillies win, I will display their logo prominently (at the top) of my sidebar. 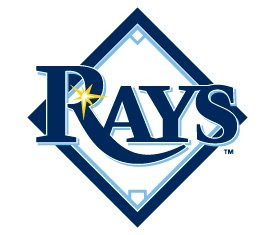 When the Rays win, she’ll be placing their logo on her blog. The logo has to stay up for one month.